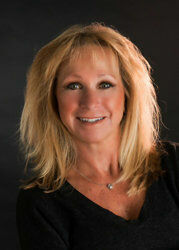 Denise has been involved in real estate sales in Boulder, Denver and surrounding counties since 1989. Prior to joining RE/MAX of Boulder, Inc. as a Broker Associate in 1993, Denise worked with Fowler Real Estate and Colorado Landmark Realtors. RE/MAX of Boulder, Inc. is the number one RE/MAX office in the United States for an unprecedented six years in a row and individual agent volume of sales year after year. Denise will celebrate her 25-year anniversary with RE/MAX of Boulder, Inc. on March 1, 2018 and 29 years as a Boulder Area Board Realtor in September 2018. Denise’s career in real estate began in 1979 when she worked for Celebrity Homes, Inc. Denver, Colorado, in the position of Warranty Assistant and Quality Control Assistant in the field for Heritage Village, Heritage Greens and Dartmouth Heights, coordinating subcontractors in the construction phase and working closely with the superintendents. Denise became Warranty Manager at Heritage Greens in Littleton and Hyland Greens and Hyland Greens East in Westminster, again working closely with homeowners and subcontractors, public relations and problem solving. She also held the position of Cost Analyst and Job Estimator at Celebrity Homes, Inc. main headquarters in Denver, Colorado. Denise has also been involved in property management and is experienced in leasing, negotiations, tenant relations, bookkeeping, accounts payable and receivable, record keeping, repairs, maintenance and subcontractor scheduling. Denise was the listing agent and marketing of Wonderland Meadows, a subdivision in North Boulder. She assisted in developing a custom and semi-custom home community, interfacing buyer demands with the builder, architect and coordinating subcontractors. Denise was also the Director of Sales and Marketing with Northbriar Estates, a 50 lot home subdivision in North Boulder. Her involvement included land acquisition, subdivision approval, negotiating with property owners and problem solving with City departments. She was responsible for designing floor plans with architects, working with builders, designers and contractors to accommodate the buyer’s needs, incorporating one of a kind quality homes in a custom home community. Denise lists and sells new and pre-owned homes, townhomes, condominiums and vacant land with a strong knowledge of the current market and the real estate industry throughout Boulder County, Broomfield, the Denver area and the ski areas. Denise has received the following awards and designations: RE/MAX International 100% Club Award, The Platinum Club, 1999 induction into RE/MAX Hall of Fame, Life Time Achievement Award, Accredited Buyer Representative, Certified Distressed Property Expert, Short Sale and Foreclosure Resource, Certified Negotiation Expert, Seniors Real Estate Specialist and an Employing Broker Real Estate License. Denise is a full time Realtor with quality and dedication of time, effort and service into her real estate business, her clients and customers with focus of complete satisfaction.